OAKLAND, Calif. (KGO) -- There is no rest for Golden State Warriors guard Steph Curry after yesterday's win over the Cleveland Cavaliers. 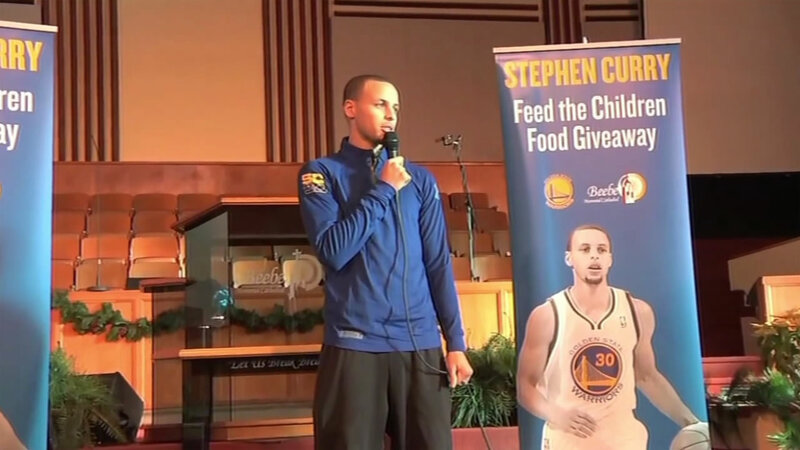 Curry and his family are teaming up with Feed the Children to provide support to 400 Oakland families in need. In its third year now, the Curry's give each family a 25-pound food box and 10-pound box of personal care items. "Being able to impact the East Bay community and the Bay Area at large is definitely important with this being our home. It's nice that what we do on the court can continue to shed light on the initiatives that we have off the court that are, in the grand scheme of things, a lot more important," said Curry.